Pedal4 Patients – just one more week to go and you can still sign up! Pedal4 Patients, our fundraising bike ride with two distances, 65 or 45 miles from Brentwood to Romford, is taking place on Sunday 29 April. 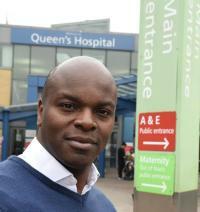 Read " Pedal4 Patients – just one more week to …"
London Assembly member Shaun Bailey has joined our Trust Board as part of a ground-breaking new scheme to get more black, minority and ethnic (BME) candidates into executive level jobs. Read " London Assembly member joins our Board…"
We announced in the second half of last year that we were encountering financial difficulties and we commissioned an external team of experts – Grant Thornton – to undertake a comprehensive review of our financial position and practices, to understand what had happened. Their report has now been published and is available in full. Read " Report into Trust finances published…"
Our staff choir has released its own version of the song Proud, by Heather Small, which became the anthem of the 2012 London Olympics, to raise money for the King George and Queen’s Hospitals Charity. Read " Our singing staff have released a single…"
Do you have personal experience of cancer as a patient or carer? Would you like to join us to help shape cancer services and improve early diagnosis across our north and east London and west Essex? Read " New involvement opportunities for people…"
Don't be embarrassed to talk about your bowels! It’s Bowel Cancer Awareness Month and to mark the annual campaign – we’re hosting an information stall at Queen’s Hospital today (Tuesday 10 April). 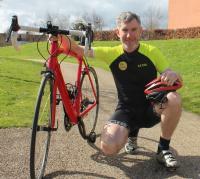 Read " Don't be embarrassed to talk about your …"
Keen cyclist Stuart Wilks, 42, is encouraging everyone to get on their bike and help raise money for our charity, the King George and Queen’s Hospitals Charity. Read " Bereaved dad who has raised thousands fo…"
We'd love to hear your feedback. The form with name 'BHRUT Feedback' has not been found. Please contact us to tell us.